Obituary for Charles Robert "Bob" "Barney" Barnhart | Fletcher Funeral & Cremation Services, P.A. 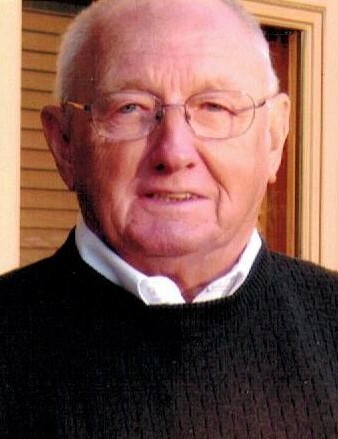 Charles Robert “Bob” “Barney” Barnhart, 87, of Westminster, died January 30, 2019 at the Dove House. Born on October 13, 1931 in Westminster, he was the son of the late Roy Roscoe Barnhart and Myrtle Leota Blizzard Barnhart. He is survived by his loving wife Anna Rae (Leppo) Barnhart. They celebrated their 60th anniversary on September 20, 2018. Barney was one of the first all around athletes at Westminster High School as it entered the statewide varsity competition in football, baseball, and basketball. He was the first varsity quarterback on its football team with a statewide schedule, playing games in Montgomery, Frederick, Washington, Wicomico, and Baltimore counties, as well as teams in Gettysburg and Hanover, Pa. He played on the basketball team following football season, then became the shortstop on one of the best baseball teams ever at Westminster High School. There was no all-state recognition in the late 1940’s. During his days at WHS he also participated in the Carroll County fast pitch softball league. Barney attended Bridgewater College where he quarterbacked the football team and played shortstop on the baseball team. His scholarship was a job in the dining room and “Financial Aid” by playing on the semi-pro Harrisonburg baseball team in the Virginia Valley League. After military service, he coached Babe Ruth Baseball and officiated high school basketball games for 15 years. He served in the U.S. Navy during the Korean War on the U.S.S Ticonderoga. Before retiring he worked for C & P Telephone Company/Verizon for 36 years. He then worked for the Fletcher Funeral & Cremation Services as a funeral assistant. He was a member of Door to Virtue Masonic Lodge #46 AF & AM, life member of North Carroll Rod and Gun Club, life member of the VFW Molleville Farm Post #467 and the American Legion Carroll Post #31, member of the Bee Hive Club and the former Wakefield Valley Golf Club. He was elected in the Carroll County Sports Hall of Fame in the class of 2007. He enjoyed golf, golf trips, fishing, bowling, and spending time with his grandchildren. Besides his wife he is survived by his daughter and son-in-law Melissa Barnhart Harding and Scott Harding of Glenwood, 2 grandchildren Emily Harding and Jake Harding both of Glenwood, nieces Paula L. Barnhart Crispin and husband David, Karen L. Barnhart Stoedter and husband William, nephew Stephen “Butch” Barnhart and his wife Debbie, sister-in-law Betty Stem and family, brother-in-law and sister-in-law Wayne and Joan Leppo and family. He was predeceased by his brother Paul L. Barnhart, sister-in-law Aileen Bair Barnhart, and brother-in-law Charles E. Stem. The family will receive friends Monday, February 4, 2019, at Fletcher Funeral & Cremation Services from 10 to 12 noon. Funeral services will begin at 12 noon with Deacon Charles E. Barnhart officiating. Interment will follow at St. Benjamin’s Krider’s Lutheran Church Cemetery with military honors. In lieu of flowers contributions can be made to Carroll Hospice, 292 Stoner Ave. Westminster, Md. 21157.